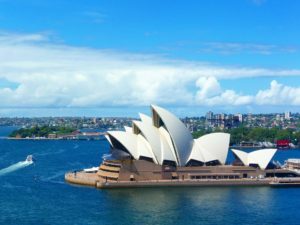 Book a window seat for your flight to Sydney! Day or night, this city sure is good-looking. Scratch the surface and it only gets better. Sydney Harbour National Park protects large swathes of bushland around the harbour shoreline, plus several harbour islands. In among the greenery you’ll find walking tracks, scenic lookouts, Aboriginal carvings, beaches and a handful of historic sites. The park incorporates South Head and Nielsen Park on the south side of the harbour, but most of the park is on the North Shore – including Bradleys Head, Middle Head, Dobroyd Head and North Head. Definitively Sydney, Bondi is one of the world’s great beaches: ocean and land collide, the Pacific arrives in great foaming swells, and all people are equal, as democratic as sand. It’s the closest ocean beach to the city centre (only 8km away), has consistently good waves, and is great for a swim.